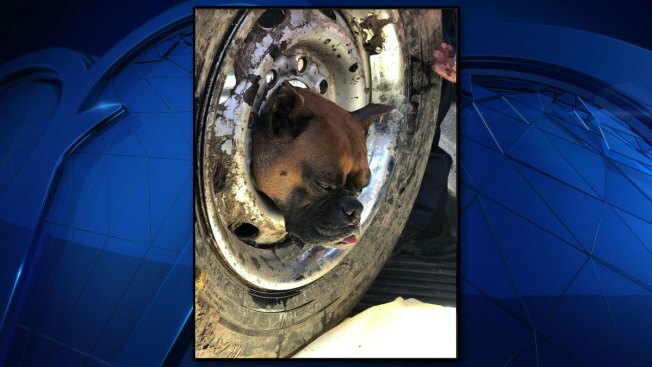 According to a post published to Facebook by the Grand Prairie Fire Department, it took firefighters an hour to get the rim cut enough for the poor pup to pull herself free. Thankfully, she was not hurt. According to Grand Prairie, she thanked her rescuers "with plenty of doggy kisses."